Seat Height 749 cm / 29.5"
By late 1998, Erik Buell's lively and distinctive sports bikes had come a long way since the Wisconsin-based engineer and former racer's first model, more than ten years earlier. With their distinctive styling, upright riding position, tuned Harley V-twin motors and agile chassis, Buells had provided plenty of speed and handling along with more fun than just about anything else on two wheels. But Buells had suffered some problems, too. Models such as the S1 Lightning had been rather eccentric, with their big, ugly air filter, truck-like exhaust, uncomfortably tiny seat, soft Harley footrests and tendency to overheat their rear cylinder. That was until late 1998, when Buell introduced the X1 Lightning. The X1 proved that founder Erik Buell and his colleagues at Harley-Davidson, which by this time owned most of the company, listened to criticism. 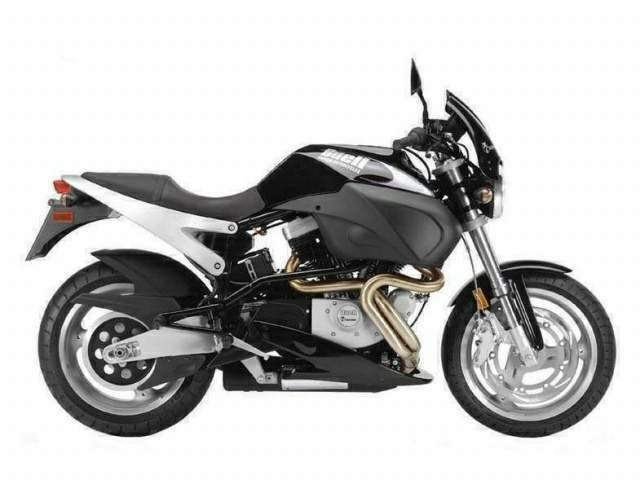 It combined typical Buell aggression with fresh styling, a smaller air filter, a belly pan to cover the silencer, a larger seat, normal footrests, and better cooling to engine parts including the rear cylinder. It also had a stiffer steel frame, new aluminium rear subframe and swingarm, plus uprated Showa suspension at front and rear. Like other Buells the X1 was powered by an air-cooled, 45-degree pushrod V-twin that was intended for Harley's 1200 Sportster. Here it was hotted-up with Buell's 'Thunderstorm' cylinder heads, incorporating bigger valves, reworked ports and reshaped combustion chambers. A new fuel-injection system helped give a best yet peak output of 95bhp at 6200rpm. This was a pretty remarkable achievement given that a standard Sportster produced less than 60bhp. That meant the XI was good for a genuine 140mph (225km/h), and the cleverly rubber-mounted motor felt amazingly smooth, too. There was a generous amount of mid-range torque, and the bike sat effortlessly at 70mph (113km/h) with instant acceleration on tap. The chassis was also impressive. Steering was light enough to allow rapid direction changes, due to the X1's sharpened geometry. Showa suspension parts worked well at the front and also at the rear, where the XI retained the traditionally quirky Buell set-up with its under-slung shock working in tension rather than the normal compression. The X1's front brake combination of six-piston caliper and huge single disc gave powerful stopping, though it was prone to fade when very hot. Detail work was improved from previous models, with generous steering lock, dashboard-mounted ignition switch, easily adjustable mirrors, under-seat storage, and other useful details. Anyone wondering whether these civilizing touches disguised the fact that the XI lacked Buell's traditional raw appeal had no need to worry - the X1 still felt suitably crazy. 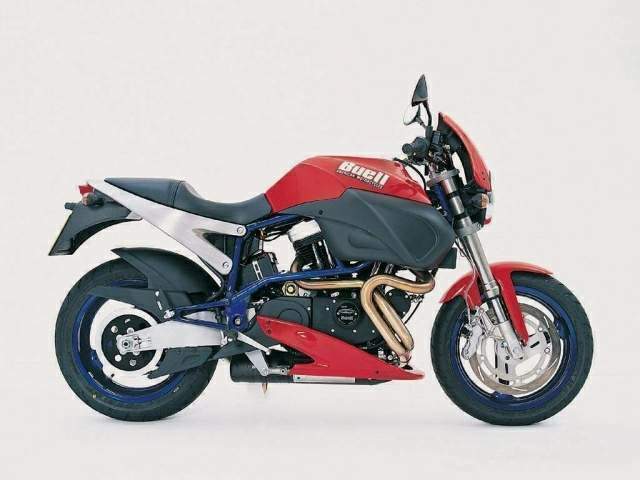 It was a more sophisticated, up-to-date machine whose old-style Buell fun factor was very much intact. 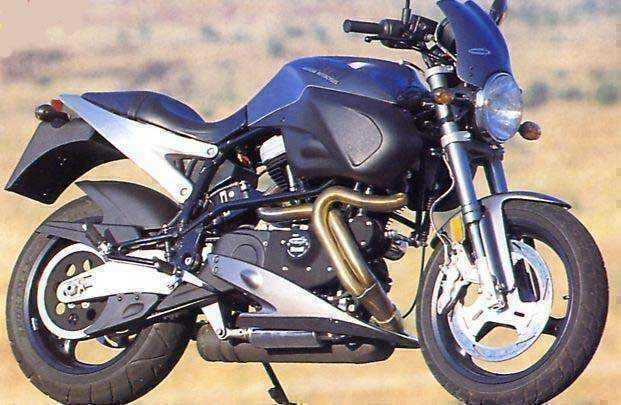 Equally importantly, the X1 was confirmation that Harley-Davidson, Buell's new owner, intended to inject the effort and investment needed for success.